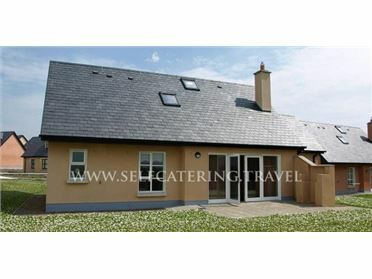 Grove Cottage is a detached single storey property in Kilshanny, County Clare. There are four double bedrooms, two with en-suites, and a bathroom with bath, basin and WC. There is a kitchen with dining area, and a sitting room with open fire. Outside is off road parking and an enclosed garden and patio area. Visit Lahinch, The Burren and the Cliffs of Moher, then return to Grove Cottage and relax. The Spa town of Lisdoonvarna is situated in County Clare and offers the Spa Wells Health Centre, Matchmaking Festival, eight pubs, shops and restaurants. Just 3 miles away is the village of Doolin and Lahinch is 9 miles away. There is something to suit all tastes in this part of Ireland.